LandInvestors.com › Forums › **Ask A Question** › Most efficient way to get money to sellers? Trying to avoid running out to the bank to sign a cashiers check/mail to notary each time I buy a property- what’s the best way to go about this? 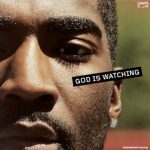 Shammgod – That’s what I do. I have heard that some banks may provide online Cashier’s Check. You order it online and they mail it out. Might just be a myth. Depending upon the volume that you are doing, you might get an assistant added to your account who can go to the bank for you. It’s a good problem to have. When offers start coming in, I try to batch them and go to the bank once a week. I’ve done a number of things for this, Capital One has an online service for their personal banking (not for their online business banking yet unfortunately) where they will over night a cashiers check for you and all you have to do is input the information online. I did that for a while, but had a lot of issues with capital one canceling my checks for various reasons. I have also used the online bill pay service that a lot of banks have, but that can take a week or more for the check to arrive and time kills deals so I stopped doing that. Right now, I print fedex labels off at home and write a check (not a cashiers check) and drop my stack of fedex envelopes in the drop box everyday, I think this is the best solution for me so far. I have heard of people who send electronic checks that the notary prints out, I believe I may start doing this in the future to really expedite things. Luke, have any sellers complained about it not being a cashiers check? No complaints about the checks yet, but about 10% of people won’t sign the deed because of how deed perfect words it as being sold for $10. I am going to start creating deeds elsewhere (I already have a lot of my documents created with the click of a button using web merge).